This series just keeps getting better and better and for me, this one was the best so far. As much as I enjoyed the social commentary in the first two, it was refreshing to step away from the debate over who would be the new town Warden. 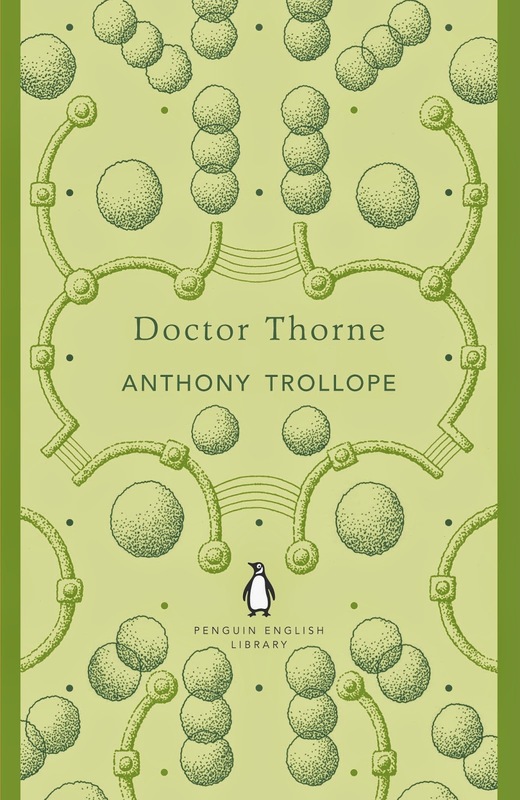 In this novel Doctor Thorne’s brother leaves his illegitimate child in the Doctor’s care upon his death. The Doctor raises her as his own daughter. As Mary Thorne grows up she spends many of her days playing with the wealthy Gresham children. Years later Mary and Frank, the only Gresham son, fall in love but he is told by his controlling mother, Lady Arabella that he must marry for money to save the family estate. Scatcherd is Mary’s uncle on the other side of her family (her mother’s brother). He starts off as a lowly stonemason, but rises to power as he becomes wealthy. As the Greshams sink farther and farther into debt, Scatcherd’s control of their property increases. Upon his death he plans to leave his vast wealth and the Gresham’s home to his son, but if his degenerate son passes away everything will go to his next closet relative, who happens to be Mary. As a novel progressed I began to realize that it was an interesting combination of “Pride and Prejudice,” “Persuasion,” and “Great Expectations.” Mary and Frank’s relationship mirrors the first. Frank’s entire family reminded me of Darcy and Bingley’s extended clan. Even though they all love Mary, they discourage the match because she isn’t a suitable wife for Frank. There’s also Frank's sister who turns down a proposal because her cousin tells her it's unacceptable, which brought “Persuasion” to mind. The tidy full-circle plot which features an orphan reminded me of Dickens. This is not to say that Doctor Thorne is a recreation of any other novel. The book just reminded me of some of my favorites in a very positive way. Dr. Thorne is such a moral man and he has such strong protective feelings for his niece. Even though he could secure her future by sharing her potential wealth as an heiress, he wants Frank and his family to love her for who she is, regardless of whether she is rich or poor. That’s why this is truly Doctor Thorne’s story and not Frank or Mary’s. Doctor Thorne is trapped in the midst of this impossible situation and every decision he makes is with Mary’s best interest at heart. He is the best kind of man. BOTTOM LINE: Unlike the previous two books, this one was an unabashed love story. The exploration of social standing and class are so beautifully written you can't help but root for Frank and Mary throughout the book. This has definitely been my absolute favorite of the Barchester books so far. 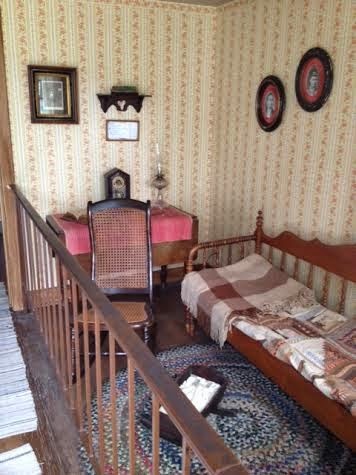 Our Chronicles of Barsetshire readalong moves right along we're reading Framley Parsonage in July. 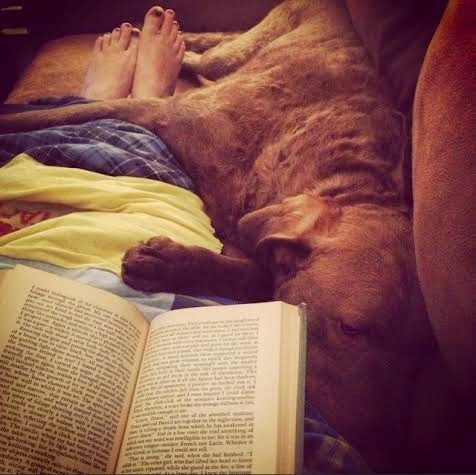 Check out Amanda's posts at Fig and Thistle and dive into the next book! I adored Wilder’s Our Town the first time I saw it performed. It’s a simple story, but it reaches something deep within the reader because its poignant message is one we can all relate to. The core moments of the show are about the inevitable joys and sorrows of life. This slim Pulitzer-Prize winner is similar in the fact that it looks at what gives each life meaning. 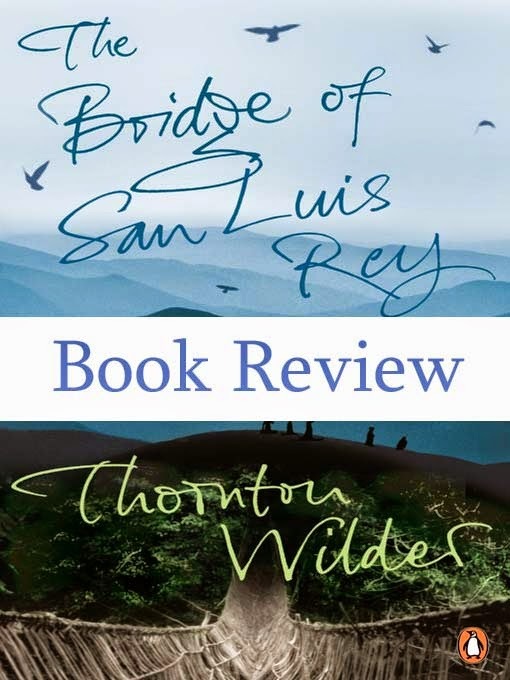 Once again Wilder allows us into the lives of the characters, although this time we are in Lima, Peru. A bridge collapses in 1714 and five people are killed. A priest, Brother Juniper, tries to find some meaning in the accident by researching the lives of the people who were killed. We see each individual who is killed and learn about the people they were close to, including twin brothers, a stage performer, and a spurned mother. Each new life the priest explores is complex and beautiful. There is no black and white in a person’s life. They are not all good or evil; it’s never as simple as that. BOTTOM LINE: A beautiful story about trying to find meaning in tragedy. Our Town remains my favorite piece by Wilder, but I will read more of his work as soon as I can. "There is a land of the living and a land of the dead and the bridge is love, the only survival, the only meaning." 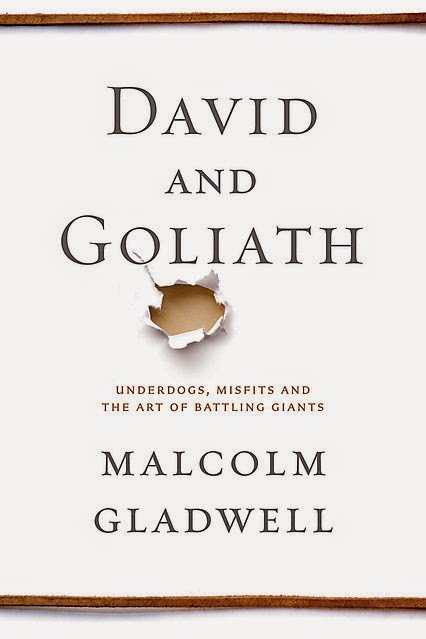 In his trademark style, Gladwell takes a fascinating look at the way society views advantages and underdogs. He compares studies and historical cases to reach an interesting conclusion about perception vs. fact when it comes to getting ahead. I thought this one would be all about overcoming obstacles and rising above in difficult situations. Instead the book is about looking at the world differently. What’s really an advantage? Is it better to be a big fish in a little pond or little fish in a big pond? Is it really beneficial to have a small class of students or to attend an Ivy League school? While I found both the content and the conclusions interesting, this book felt a bit less focused than Tipping Point or Blink in my opinion. I felt like the different examples and studies didn’t fit together as smoothly as they could have to illustrate his points. Many of the points he makes either felt like common sense deductions or like too much of a stretch. Learning about the impact of class size was interesting, but it never quite tied into the usage of propaganda during the Civil Rights movement. I learned a lot and enjoyed it, but it’s not my favorite. BOTTOM LINE: I think I would enjoy just about anything Gladwell writes, but this one ranks farther down on the list for me. I would start with one of his earlier books if you’re new to his work. This fascinating commentary on the way society works is packed full of wisdom. 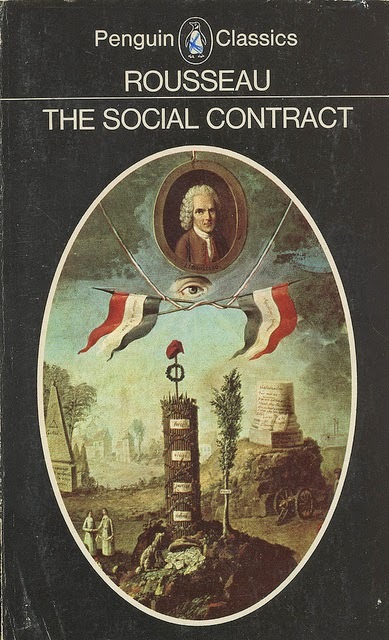 Rousseau explores the unspoken agreement each individual makes with the society in which they operate. He contends that many of our basic rights are not rights at all, but silent commitments everyone within our society makes to each other. The whole book is a wonderful resource and in lieu of a review I’ll leave you with some of my favorite lines. I’ve been struggling a bit to keep up with things here. When I started my new job in January I had a drastic shift in responsibility and the amount of time I needed to dedicate to work. I love it, but I’m definitely still trying to find the right balance between work, this blog, planning our Australia vacation for this fall, theatre reviews, reading, my Classics Club Blog duties, planning a family reunion in July, and spending time with the Huz, family and friends. We’ve also have a ton of house projects that we started this spring and we’re trying to work out more, all of which are great things, but they are also time consuming. I’m starting to find my groove, but I wanted to say a big apology to all of you who stop by regularly. I have been awful at visiting blogs and commenting. I’m hoping to get on top of things soon! Anyway, I’m not going anywhere, I love my little corner of the internet, but I did want you all to know I'm planning on cutting my posts down to four times a week. I think I'll skip a Tuesday or Thursday most weeks, so don't think I've fallen off the face of the earth if I don't post on one of those days. Everyone goes through busy periods in life and this is just one of those times for me. Twain has a wicked sense of humor, but his novels on social commentary tend to be even more powerful than his playful ones. My assumption was that this book would fall into the comedy category. Based on film versions and the general premise, it sounded like an entertaining, light novel. While there were some very funny parts, this is a much darker book than I was expecting. It’s both an adventure and a cautionary tale. There are also so many wonderful lines, zingers that I know I can always expect from Twain. The plot tells the story of a man who is hit in the head and wakes up 1300 years earlier in 528 AD. 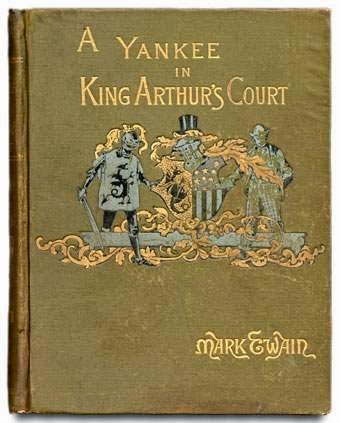 It’s the Dark Ages and King Arthur is on the throne. He has no way of getting home, so instead he tries to build a life in England and becomes one of King Arthur’s knights. The dark tone of the book seeps into almost every scene. Even when our narrator is using gunpowder to pretend to have magic, there’s always a chance that he will be killed for sorcery. In one section our time traveling hero is touring the countryside with King Arthur, who is disguised as a peasant. They come upon a home where a family of four is dying of a disease plaguing the area. They care for them, but it’s much too late to save them from their grim fate. In their dying moments they learn that this family’s misfortune, perpetuated by the local manor lord, left them destitute and desperate. The King is being forced to see the problems in his kingdom firsthand and it’s not a pleasurable experience. BOTTOM LINE: There are jousts and hangings, betrayals and jealousy; all the great elements of an adventure novel. I was surprised by how much depth I found and the bittersweet ending will stick with me. “Inherited ideas are a curious thing, and interesting to observe and examine." So only a few pages in I remembered a movie I used to watch when I was really little. It shared the same title as this book, which it’s obviously based on, but starred Keshia Knight Pulliam (Rudy from The Cosby Show) as the main character. It was a made for TV movie in 1989 that we must have recorded and watched all the time. Anyone else remember this? Originally posted at The Project Gutenburg Project. 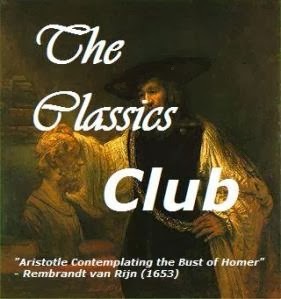 Think of an example of a classic you’ve read that presents issues like racism/sexism as acceptable within society. 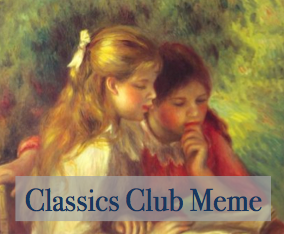 Do you think the reception of this classic work would be the same if it were newly published today? What can we get out of this work despite its weaknesses? Or, why would you say this work is still remembered in 2014? This fascinating question immediately made me think of Gone with the Wind. That book is often criticized for its portrayal of slaves in the south. It embraced certain stereotypes and was considered condescending in some ways. I think it’s crucial to think about the time period in which it was written and who the author was. Margaret Mitchell was raised in the South hearing about the glory days before the Civil War. That upbringing certainly affected the way she saw the past and how she wrote about it. I think if the book was written now there would be a much larger scrutiny of those portrayals, but it’s a very different society now. I also think that if taken in the context of the work, the racial views don’t detract from the story. They are a picture of how many plantation owners viewed their lives. No one is claiming that the story is being told from the slaves’ point of view, which would be a vastly different novel. There are times when sexism/racism truly ruins the reading experience for me (aka most of Hemingway’s novels). But I always try to think about the context of what was being written before I judge the work by my own standards. I don’t have to agree with what an author’s belief system is to enjoy other aspects of their work. Most people already know this story through the film version, Field of Dreams. For anyone who isn’t familiar with it, it’s the story of Ray, an Iowa man who builds a baseball diamond in the middle of a cornfield on his farm. A voice tells him, “If you build it, he will come.” His wife Annie supports his wild scheme with no questions and he builds the field. 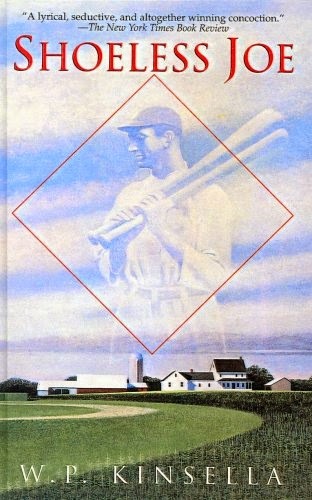 Soon long-dead baseball players like Shoeless Joe Jackson appear on the diamond to play baseball. On the surface the book is obviously about baseball, but as someone who isn’t a fan of the sport, I can promise it’s really about so much more. It’s about dreaming big, supporting the people you love and finding your true home. The writing is lyrical and nostalgic. I love Kinsella’s reverence for the sport. He treats both the game and the Iowa cornfields like they are something holy and precious. I’m sure that reading it as I drove through Iowa played a big part in the fact that I felt so connected to the story. We are travelers right alongside Ray on his quest to follow the instructions being given to him. Some people around him can see the magic and some can't. This aspect of the story made me think of reading. Some people pick up a book and are carried away by the beauty of the story, others get nothing from it and the experience is forgettable. I'm so grateful to be one of the ones that can see the magic. BOTTOM LINE: Pack this book in your suitcase the next time you take a road trip through the beautiful Midwestern states. It’s a reminder to appreciate all the things you love in your life and to always notice the magic. “America has been erased like a blackboard, only to be rebuilt and then erased again." "Iowa City is a town of grandfathers fighting a losing battle against time. We have a drugstore with a soda fountain," I say. "It's dark and cool and you can smell malt the air like a musty perfume. And they have a cold lemon-Cokes and sweating glasses, a lime drink called Green River, and just the best chocolate malts in America." **One major change from the book to the film is the character of the reclusive writer. The role is beautifully played by James Earl Jones in the movie, but in the book it’s J.D. Salinger! This week's Top Ten from The Broke and the Bookish asks one question, but I decided to answer another. Here are my Top Ten Favorite Plays. I’m only including ones that I have both read and seen performed live, so there are definitely a few other plays I’ve loved even more that I’ve either seen or read, but not both. I love live theatre and I'm lucky enough to get to see a ton of productions because I review shows once a week at Stage Write! I’ve had so much fun reading plays before or after seeing them and realizing what choices the directors and actors made that differ from the text. This big yawning novel starts with a simple, young Jewish man named Andras. He’s an aspiring architect from Hungary, who moves to Paris to study. From there we meet Klara and the two begin a tumultuous affair. That covers a tiny splice of the beginning of the novel. After that it’s an exploration of Europe in the 1930s and ‘40s. We see the Germans rise to power, the change in attitude towards the Jewish community across the continent, the other people who are persecuted, etc. It reminded me in a lot of ways of Birdsong, another book that begins with a love story but quickly escalates into an exploration of war and its dehumanizing effect. Andras and Klara’s romance is certainly central to the whole book, but life gets in the way of their little world. Their troubles and Klara’s past seem so unimportant in the larger scheme of things. As signs of war start building all around them, their options begin to disappear. They realize that whatever happens, if they can stay together they will be alright. Unfortunately, that’s not always possible when your country is at war. It really feels like two very different books. One tells the story of an ambitious man who falls in love with an older woman. The other is about a Jewish man trying to survive the horrors of World War II in Budapest. Both books are beautiful, but by the end of the novel it’s hard to even recognize the characters you met at the beginning. I suppose that realistically that’s exactly what war does to people. It strips away the things that make them who they are and turns them into something harder. This book shows that transformation in heartbreaking way. BOTTOM LINE: At times I felt like I couldn’t see the trees for the forest. The writing is beautiful, the story is powerful, but there’s just so much there that it’s easy to get a bit lost. I still loved reading it and would highly recommend it to anyone who loves WWII stories. There are books that resonate with you no matter what stage of life you are in. 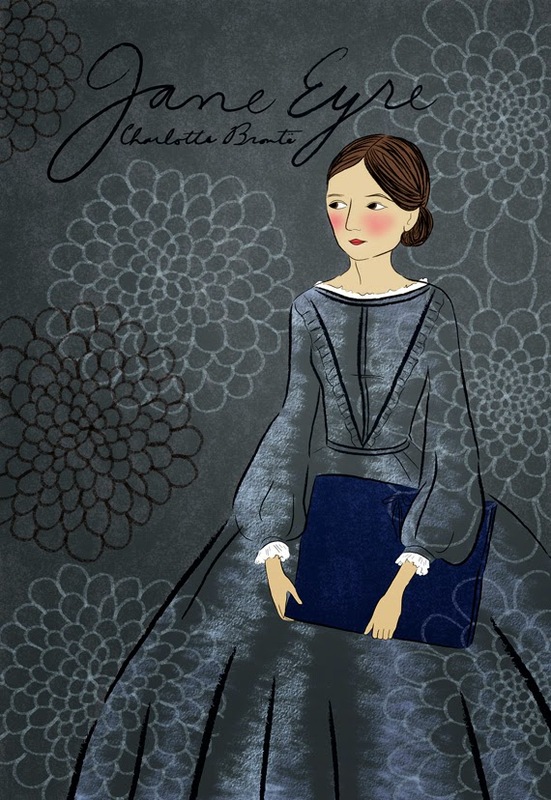 I first read Jane Eyre in 2007 when I was fresh out of college and in my first real job. Now, seven years later, I’ve had multiple “real” jobs, I’m married and I just celebrated my 30th birthday. I’m at a very different point in life, but the book is more relevant than ever. Rereading it gave me the chance to notice new aspects of the story and to deepen my love for the book in so many ways. Jane Eyre is famous for its scenes with the stormy Mr. Rochester and his terrible secret, but really the book is not just a romance. At its heart it's about a woman who has been through so much. She’s lost everyone she loved and she’s been persecuted by the people who are supposed to care for her. Instead of being cowed into submission and settling into a lonely life of servitude, she stands up for herself. She never allows people to treat her badly. When there’s an easy way out and all she would have to do is compromise her beliefs she refuses to do it. She is strong and brave, but she doesn’t have to shout to get her point across. She has a quiet steely strength and determination that is incredibly rare. When she unexpectedly falls in love, she never questions her feelings or tells herself she’s not worthy of loving someone in a higher station than she is. She also refuses to let him talk her into doing anything that she doesn’t want to do. No matter how much she loves him she won’t to do something that would make her lose her self-respect. There are so many things I love about her as a character. She's grounded and doesn't let herself be swept away by emotion. She doesn't rely too heavily on what other people think of her. She won't settle for less than what she truly deserves. She works hard to get an education and then put it to use. She wants to be with someone who challenges her, instead of with someone who is comfortable and easy. She doesn’t fall for Rochester’s looks; it’s his personality and fire that win her. I love that Jane knows what she wants but she rarely shows anyone else her true feelings. She is just incredibly brave. She leaves her teaching job, a reliable position, to venture out into something completely unknown in order to experience more of the world. Quitting your job in the 21st century is scary and we have networking and online job search sites. Imagine doing it in the 19th century when you don’t know a soul who can help you find a job. I love that Jane has a chance to return to her first home when her aunt is dying, because it gives her a chance to see how she’s changed since her time away. She has fallen in love not only with Mr. Rochester but also with Thornfield and with the freedom she has there. The scene where Bertha tries on the veil gives me serious chills every time I read it. I know that her whole role in the story is controversial. Does that relationship make Rochester a villain? Was she truly mad or just a victim of circumstance? All great questions and they add an extra layer of depth to the story for me. I also think that the nauseating proposal from St. John is crucial to the story. It shows us that Jane is not willing to settle for a loveless marriage, no matter how convenient. It’s much harder to turn something like that down when you have limited options, but she knows how unhappy it would make both of them. BOTTOM LINE: One of my absolute favorite books, this classic will teach you something new about yourself each time you read it. - There are multiple times when Mr. Rochester calls her Janet. I checked different editions to see if it was just a typo but it's Janet and every edition that I have. I never noticed that before. - There’s a line that says “It was the 5th of November, and a holiday.” This made me double check the dates online, but she was referring to Guy Fawkes Day! I had no idea that Guy Fawkes had been tried and executed all the way back in 1605. For some reason I thought it must have been later. - Also, there’s a character named John Green who pops up in chapter 26. How funny is that? Another minor character that I had forgotten is Mr. Oliver, obviously my subconscious remembered that when we named our dog Oliver. Check out the Crash Course episode about this book if you haven’t already seen it! After the The Emerald City of Oz, Baum was planning on ending the Oz series. 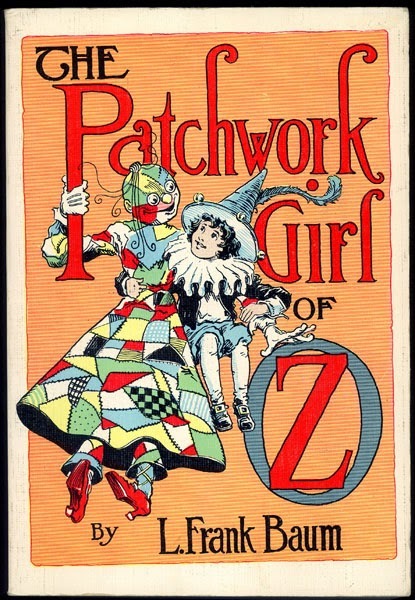 Public demand and financial reasons prompted him to continue the books with The Patchwork Girl of Oz. Knowing that it wouldn’t be surprising if the story felt forced, but that’s not the case. Ojo and his uncle, Unk Nunkie are Munchkins that live in the land of Oz. While visiting their magician friend, Dr. Pipt, they see him use the Powder of Life to bring a patchwork girl to life. She’s originally created to help the Doctor’s wife clean their home, but she’s accidently given too much cleverness. The feisty girl often speaks in rhyme and stands up for her friends without thinking of the consequences. This story reunites readers with all their old favorites. Ozma, Dorothy and the Tin Woodman are all back and the Scarecrow is particularly smitten with the Patchwork Girl. The story follows Ojo as he embarks on a crusade to gather some strange items to help Dr. Pipt save his wife. Also, there’s a funny glass cat in this story that reminded me a bit of Dorothy’s bossy hen. The original illustrations are one of my favorite elements of the books and this installment is just wonderful. BOTTOM LINE: A great addition to the series, this book combines fan favorites with new characters in an excellent way. I’ve been hearing about Jo Nesbo for quite a while now and decided to read the first book in his Inspector Harry Hole series. It was fittingly set in Sydney, Australia and so it quickly became a priority for me. The novel follows a relatively formulaic path. A dead body is found, it’s a Norwegian woman and so Hole is sent from Norway to assist the Sydney authorities in the investigation. The murder mystery is interesting, but it’s definitely not what kept me hooked on the book. I loved hearing about the culture and history in Sydney. They talk about specific locations, cultural traditions and racial struggles. The novel reminded me of The Cuckoo’s Calling a bit. The troubled detective has a complicated history and is an alcoholic. The plot lost me a little bit at a few points, but I was reading it more for the location and the lead character so that didn’t bother me. BOTTOM LINE: A great book to read if you’re interested in Australia and a good mystery novel. I’ll definitely check out the next one in the series to see what happens next for Harry. 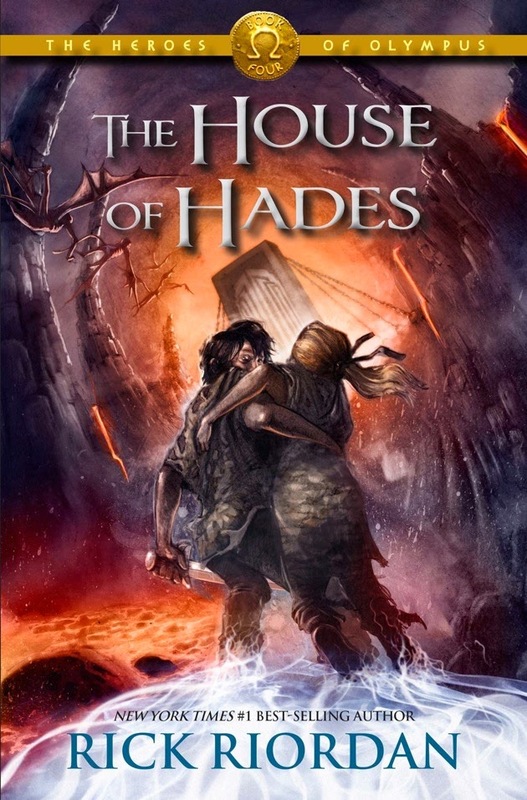 At the end of the last book Percy and Annabeth fell into a pit that dropped them into Tartarus, the horrible prison for the Titans. They are own a dark journey to find and close the Doors of Death and restore balance to the world. Traveling through Tartarus is exhausting and I felt weary right alongside them. Meanwhile their friends encounter a strange bandit named Sciron, who kills his victims by making them wash his nasty feet and then kicking them off a cliff. They also travel to Venice to continue the work of the quest. One of the major plot points in this book is a big reveal from Nico, which explains quite a bit about his distant personality. I’d already heard about that part, so there was no surprise, but I still appreciated the importance of the revelation. I also loved the role that Cupid plays in this book. BOTTOM LINE: As I’ve noted with almost all of Riordan’s books, I enjoy reading them, particularly on audio, but there’s never too much that sticks with me. I absolutely love learning more about the Greek and Roman mythology and seeing it worked into modern day situations, but I never find as much depth with the characters as I would like. I will definitely be finishing the series when it’s released. 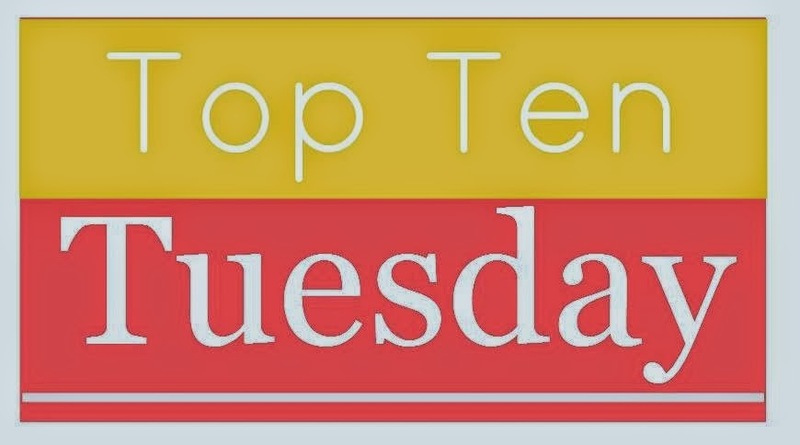 This week's Top Ten from The Broke and the Bookish asks for the Top Ten Books I've Read So Far This Year. 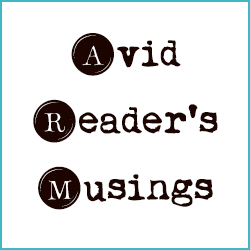 As I looked over the last six months of reading I found a really diverse list of favorites. There are classics, graphic novels, a collection of essays, a re-telling of Hamlet, Victorian dragons, a novel set in Vietnam and some nonfiction. **Barchester Towers gets an honorable mention because it’s my favorite so far in the Chronicles of Barsetshire readalong. A recent road trip took the Huz and I through Illinois and we stopped for lunch in Galesburg. 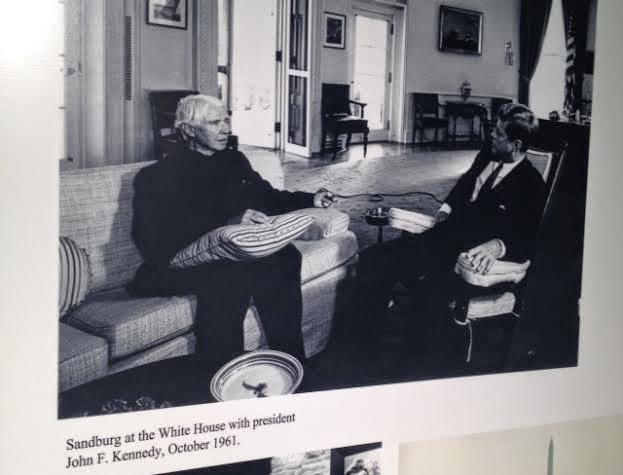 I was surprised to discover signs for the Carl Sandburg Historic Site. 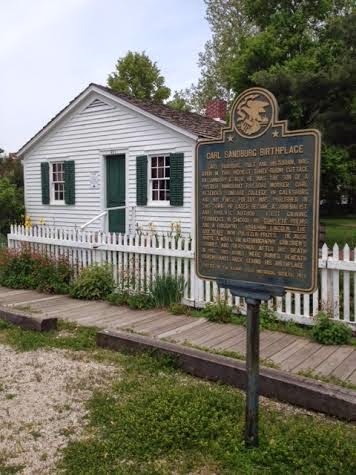 We made a quick detour and visited the birthplace of Carl Sandburg, the Pulitzer-Prize-winning poet whose famous "Fog" poems is read by students everywhere. 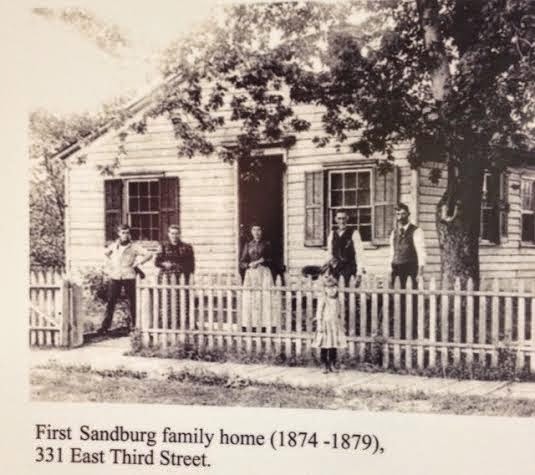 There is a visitors center located next to the small home where Sandburg was born. 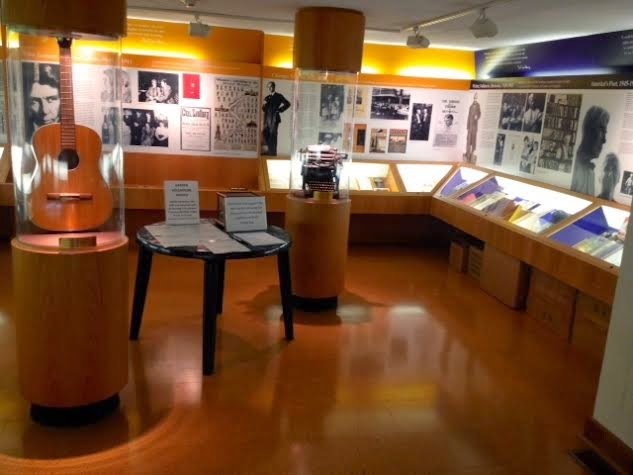 It had a wonderful exhibit (see above) chronicling his entire life. There were also poetry collections and novels by the author for sale at the front. The wonderful staff member took me on a quick private tour of his home. 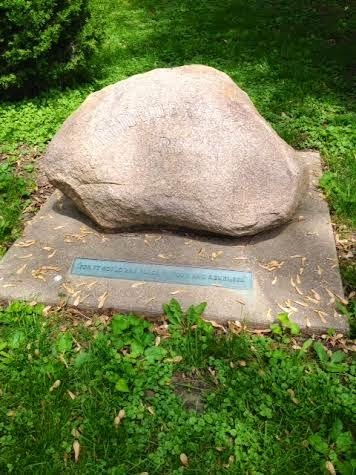 There was also a lovely garden behind the house where Sandburg's ashes are buried beneath the "Remembrance Rock." I wasn't expecting to stop in Galesburg, but I'm so glad I did! 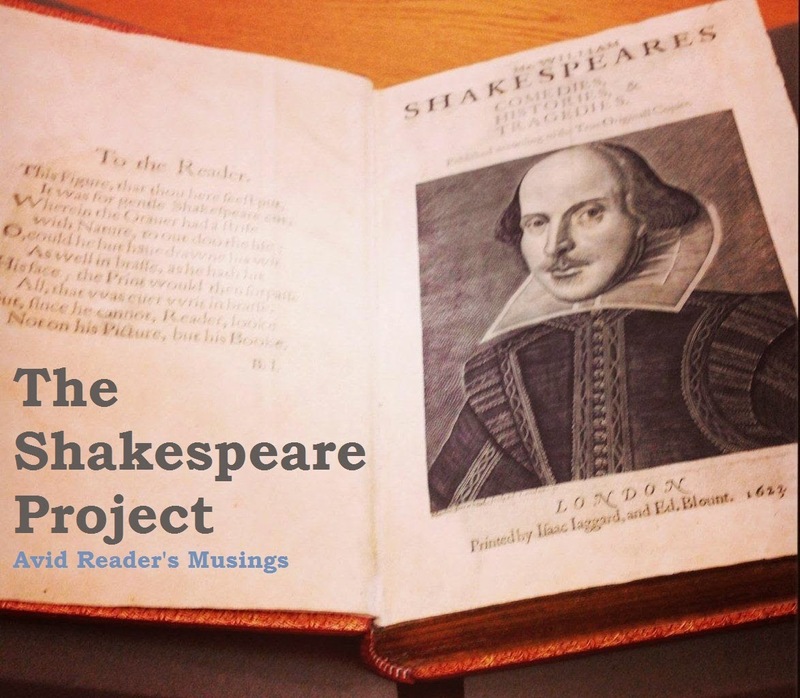 It was wonderful to learn a bit more about one of our nation's finest poets. If you're in the area I'd recommend stopping in for a quick visit! As part of the Back to the Classics Challenge, this year’s categories include a movie option. You read a classic book that's been adapted as a movie and then you watch the movie version and review it. 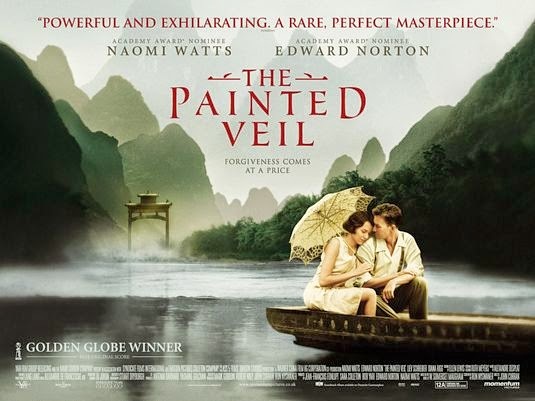 I picked The Painted Veil by W. Somerset Maugham and you can find my thoughts on the book here. My review of the movie includes comparisons to the book and assumes you’ve read the book, so there are SPOILERS. As I explained in my review, plot follows a young married couple in the 1920s. After Kitty has an affair, her husband whisks her off to mainland China where he is attempting to help a small village battle a cholera outbreak. I watched the 2006 film version starring Edward Norton and Naomi Watts. The movie follows the same premise, but uses flashbacks to show the time before they travel into the epidemic area. It’s beautifully shot, with sweeping scenes of the Chinese countryside. It plot veers slightly from the book and focuses on some larger social issues, which was interesting. It takes a much more dramatic look at everything. There’s an added war lord, heightened problems between the British and locals, and a tense chase scene through the streets. There’s also a bigger focus on Walter trying to find solutions to the water access issue for the village. None of those added elements takes away from the story and some of them add a bit of perspective to the situation. Really I think the biggest change from the book is the character of Walter, Kitty’s stoic husband. I felt like he was more likeable in the book. He comes across as incredible cold and cruel in the movie and a few key points are changed. His offer to let Kitty divorce him was an afterthought, in the book it’s an important strategic decision. On his deathbed he is the one who apologizes to Kitty, which is the absolute opposite of what happened in the book. The other major change was the ending. In the book Kitty understands her husband better, but she never falls in love with him. The true transformation is within herself and she has to go back to her old life to truly see how much she has changed. She returns to Charlie and realizes she can’t be happy with how things used to be. In the movie we see her years later with her son and she runs into Charlie on the street. It actually worked really well that way and I almost liked that ending better. I certainly think it works better on film because it’s less complicated. Two thumbs up for the beautiful film and book. Though they differ on certain parts, the overall message is the same and the costumes and scenery of the movie are just gorgeous! p.s. Bonus for Game of Thrones fans, Lady Olenna, one of my favorite people on the show, plays a nun in the film! Kate, a successful lawyer, is shocked when her daughter dies after falling from the roof of her Brooklyn prep school. The death is ruled a suicide and Kate is left reeling. She begins to question everything she knows about her daughter Amelia and starts to research her life before that fateful day. The story is told from a rotating point-of-view. 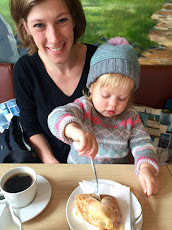 We see it from Kate’s side, Amelia’s and even a catty blog called gRaCeFULLY. There are emails, texts and personal thoughts combined to have the feel of a slow-burning thriller. It’s a mean-girls style novel that delves deeper into the subjects of bullying and how technology is used in that sense. - There were a few things that bugged me about the book. Listening to it on audio was frustrating because you have to hear every single individual time stamp and to/from for every text. I would recommend reading a hard copy. - It really bugged me that Ben was Amelia’s father. That relationship was wildly inappropriate and with all the horrible things she was going through and confiding in him, he should have told Kate what was going on. - When they finally revealed the author of the gRaCeFULLY blog it just wasn’t believable in my opinion. - Sylvia, the best friend, drove me nuts though. The fact that the author kept reminding the readers why the main character was friends with her is not a good sign. I really loved the relationship between Amelia and her mother. It felt realistic, both the struggles and the strengths gave a layer of depth to the characters. I also thought that the final reveal at the end made sense in the context of the story and was a satisfying ending. BOTTOM LINE: Fast paced and interesting, read this one when you want something to keep you on your toes. Some of the finer details fell flat for me, but I was definitely entertained throughout the book. 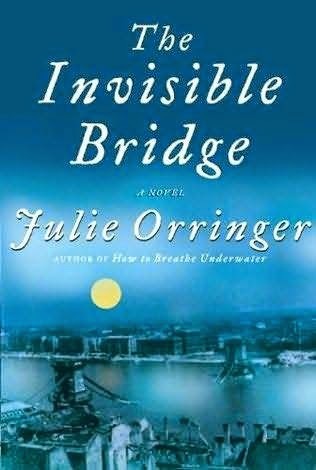 This week's Top Ten from The Broke and the Bookish asks for the Top Ten Books That Should Be In Your Beach Bag or Ten Books That Will Be In My Beach Bag This Summer. Here’s a list of great beach reads that I recommended last year. Since I did that last year, this year I’ll just list books I’m hoping to get to. Please let me know of any great summer reads I should add to my list! 1) The final Barcetshire books, I’m getting so behind! 2) Fangirl or Landline - I REALLY want to read one of the two Rainbow Rowell novels I haven’t read yet… or maybe both of them. 3) On the Beach by Nevil Shute – To continue reading Australia and New Zealand books before my trip. 5) Germinal by Émile Zola – I just have to get to him this year! 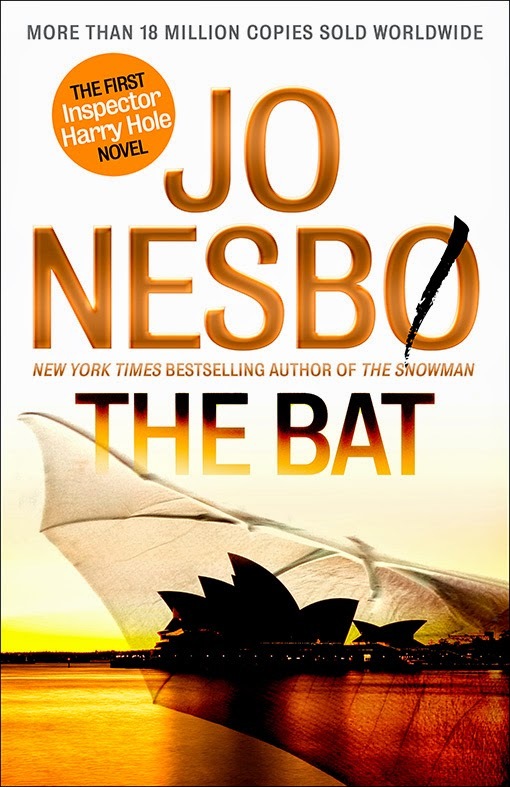 6) The Bat by Jo Nesbo – Sandy has been recommending this author for awhile and I’ll dying to check him out. This is the first in the series and it’s set in Sydney! 7) The Patchwork Girl of Oz by L. Frank Baum - I’ve slowly been working my way through this series and this one is the next on the list. To most people Doc Holliday is an infamous character from the Wild West who was immortalized by his actions during the shootout at the O.K. Corral. He’s been portrayed in countless films as a witty, but dangerous man. 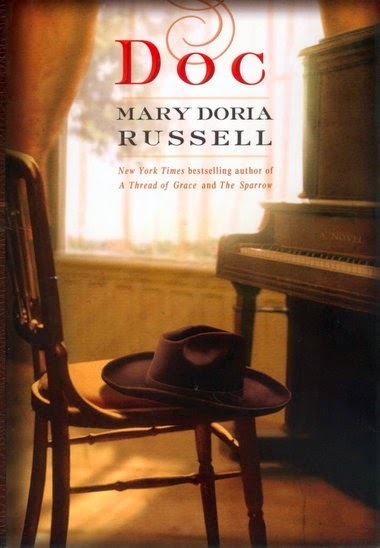 Russell’s novel strips away the exaggerations and reveals an incredible man with a depth and charm that knew no bounds. If you pick this one up to read about Tombstone you’re sure to be disappointed. The story barely makes it into these pages, which is just as well. As much as I love the movie Tombstone, I was more curious about the real men and their stories outside of that single event. After we learn a bit about Doc’s childhood and his early diagnosis of Tuberculosis, we head west away from his Georgian roots. The bulk of the book takes places in Dodge City where Doc and the Earp brothers first met. I read Russell’s unique and enthralling novel The Sparrow a couple years ago and though the premise is completely different, it contains the same style of writing. The author has an incredible talent for making each character feel like someone you know personally. In this book she carries you into the Wild West with her descriptions of dusty saloons and small town politics. People drink whiskey like it’s water and poker games are a nightly occurrence. Her research is obvious, but she blends those facts with a wonderful narrative to create an irresistible story. She uncovers the man behind the myth and what you find is something even more interesting that the bigger than life gunmen. Doc was clever and kind, a true southern gentleman. Each of the conversations he has, both with friends and foes alike, are chess games. He was always thinking ahead to the next move. He was a dentist and a diplomat, a devoted friend and a pianist. His health was a constantly struggle, but that didn’t stop him from pursuing what he loved. In addition to the title character, we get to meet Wyatt Earp and his brothers. They were all interesting, but Wyatt set himself apart with his strict moral code and stubborn nature. His turbulent childhood and the experience of becoming a widower at a young age only reinforced his private nature. Despite that he had a moral compass that most men lack and he gained the respect of the men who knew him because of it. There are two scenes that were particularly memorable. One was a wake that Doc hosted for a young man in Dodge City. A strange, eclectic group gathers and has the most interesting discussions, all while waiting for their host to appear. There's a mild-mannered priest, a prostitute, an Irish theatrical performer, and more. The tension builds as we wait to meet Doc, an elusive figure up to that point. The second scene revolves around a newly tuned piano on a bittersweet night. Neither scene is crucially important to the story, it’s just a testament to Russell’s skill as an author that she can craft such unforgettable passages. BOTTOM LINE: A treat from start to finish. If you already love Russell’s work, or if you love historical fiction or Tombstone or the Wild West, or just a great novel, this one is for you! “We are none of us born into Eden," Doc said reasonably. "World's plenty evil when we get here. Question is, what's the best way to play a bad hand?" p.s. This was one of the best audiobooks I think I have ever listened to. I’d highly recommended it if you’re an audiobook listener.